Totally deafened since 5 years old, due to meningitis, no hearing aid or CI can bring her hearing back in such a way that she can hear words, Suzie is born lipreader (with a few crafty signs on the side!). she uses speech and signs in her day to day life, with a little help from her friends, when she may pronounce words wrongly, or speak too loud, but every little help makes a difference, especially when you have knowledge of some BSL, but not so skilled at the grammar. Suzie, along with others, set up the Pardon group on Facebook, when she noticed there was nothing to support those who seemed “stuck on the fence” not able to lipread well enough to make use of lipspeakers and yet not skilled in BSL enough to understand the level of BSL provided by interpreters. The group is now reaching 5600 members and raising every day. The majority who have never been “seen” or recorded by the authorities before (they still aren’t). It was really because Suzie needed to make people aware that deafness isn’t all about sign language, it affects us all to some degree or other, from the very young to the very old, and the siblings, parents, friends, colleagues and of those who have either, been born with deafness or who have acquired the disability. Yet, even with deafness (and deafblindness) –life doesn’t finish with a loss of hearing or sight,… It’s just a whole lot harder! 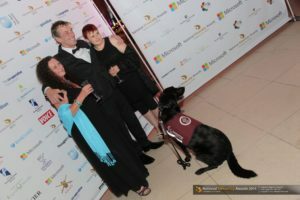 While I talk about disability Suzie is an advocate for the social model. She says am not even “going there” and saying people “suffer” a disability, disability to me is about stereotyping and barriers that people experience in a predominately “I am perfect I can access all” society. I am currently working with Disability Equality (nw), promoting the human rights of all disabled people in the NW of England, I am involved in the annual REACH programme, as part of my work here, http://www.disability-equality.org.uk/. I also deliver training in deafblind awareness in the flagship project to support deafblind people who have acquired the dual sensory loss, http://www.in-good-hands.org/. My colleagues and I have achieved a £1 million lottery funding over the next 3 years to roll out this project into the NE of England (though I am keen to make it a project for the whole of the Uk). I was one of the first to get an award of Disability Equality trainer with Disability North in 1999, I have my Cert Ed, and I have worked for Signature as their senior qualifications officer, being responsible for the non-British Sign Language side of their portfolio. 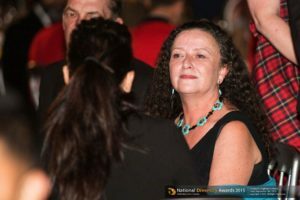 I have been involved with setting up Co.Deaf (county Durham Equal Access Forum) – in which was my first foray into the real world of charities, and I have been a member and Vice Chair of the National Association of Deafened People. I spend a lot of my time also working with a previous nominee, to promote real quality remote captions with Speech to text reporting, to ensure that the support comes for all who need it. In this role I give my time and expertise to make sure the quality and standards for the recipients are the most important issue. I am also an ambassador for the Association of Lipspeakers, promoting lipspeaking, where someone relays, without voice, the words people say in a clear lipreadable way. This brief discourse hopefully gives you some idea of the diversity of work I have done and continue to do to support deaf, hard of hearing and deafblind people in the UK.